This pilot is grim, but it has potential. 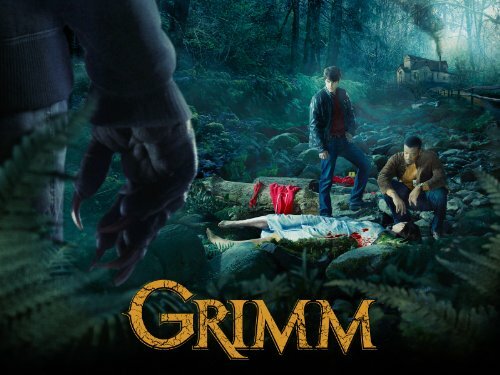 (S0101) Between Once Upon a Time and Grimm, Grimm is definitely the network fairy tale series that I was most looking forward to, mostly because the title Once Upon a Time made me cringe. I know, I know. I also judge books by their covers. I’m sorry. However, title alone did not draw me to Grimm, but the marketing as well. I thought the previews looked legitimately interesting. Unfortunately, the clips shown in the previews prove to be the only interesting scenes in the pilot. At first, I thought Grimm was going to be like Supernatural, without the bromance (and really, what’s the point of that?) and then I thought that it was going to be like Dylan Dog: Dead of Night, without all the undead mobsters. Admittedly, part of that might have been Grimm’s lead, David Giuntoli’s uncanny resemblance to Dylan Dog star Brandon Routh. The resemblance is so strong that I initially thought Routh was the star. In retrospect, I wish Routh was the star. Regardless, the Dylan Dog comparison is actually fairly accurate: I thought that movie was pretty boring too. I’m willing to chalk the snail-paced plot up to the need to cram as much exposition as possible into the pilot because disappointment aside, Grimm has the potential to be really fantastic. David Giuntoli stars as Nick Burkhardt, a descendant of the famous Brothers Grimm, you know, the guys who gave us Cinderella and The Little Mermaid in all their gritty glory. Most of us are only familiar with the kid-friendly Disney adaptations of these tales but really, the source material for Disney’s “timeless classics” featured a lot less singing and a lot more dismemberment. And hey, Grimm has the dismemberment down before the first commercial break, so there’s one point in its favor. The contemporary retelling of Red Riding Hood was clever and enjoyable. It was everything else that had me yawning. So, Nick is a descendant of the Grimm brothers and it turns out that the Grimms were more than just scholars and writers; they were hunters and warriors as well, keeping the big bad wolves and other nightmares in check. And that’s all very interesting. Really. But Nick himself? Not so much. I’m hoping that he magically develops a personality next week because all the clever retellings in the world can only take me so far if our leading man only has one facial expression.